Future Apple Watch hardware could be able to detect irregular heart rates by having the user squeeze the frame of the device, acting as an electrocardiogram test, according to a new report. Apple is said to be testing the use of Apple Watch as an EKG with a future model, according to Bloomberg. Internal prototypes reportedly work by having a user squeeze the frame of the watch with their free hand, which then sends a current across their chest to look for heart abnormalities. While the Apple Watch already has a heart rate monitor, using photodiode sensors and LEDs to track blood flow through the skin, EKG tests would offer a more advanced system going beyond just heart rate. Doing so could allow for preventative measures in heart health, lowering the risk of a heart attack or stroke. The rumor comes just a few weeks after AlivCor's Kardia Band EKG meter became the first FDA-certified Apple Watch accessory. The watch band has a sensor pad where a usr places a finger for 30 seconds to achieve an EKG reading. Apple's potential solution, however, would negate the need for such an accessory, allowing EKG readings to be built into the shell of the watch itself. 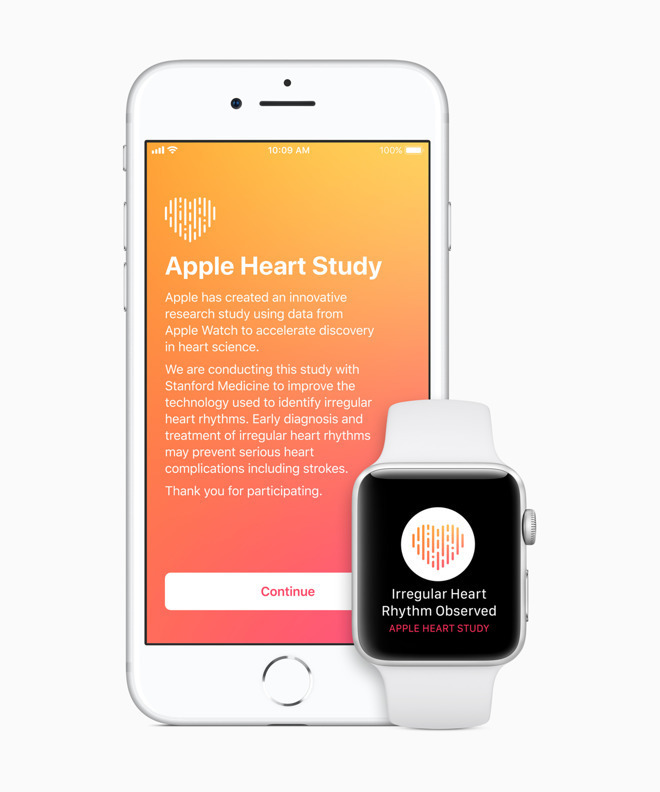 In pushing the Apple Watch, Apple has shown great interest in cardiovascular health, teaming last month with Stanford Medicine for a new Apple Heart Study app that collects data on irregular heart beats via the watch. The app can proactively notify wearers when they may be experiencing atrial fibrillation, potentially avoiding a life threatening situation.